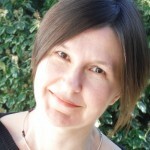 Kath Murray is an SCCJR research associate at the University of Edinburgh. Stop and search hit the headlines over a year ago, and the controversy shows little sign of abating. Following the recent revelations by the BBC that officers are continuing to search children aged eleven and under on a non-statutory basis, despite a clear commitment to ban the practice, the use of non-statutory, or suspicionless stop and search is now squarely under the spotlight. There are also clear signals that this unregulated tactic will soon be abolished, although it’s not yet clear by what means. In many respects, the controversy boils down to the imprecise understanding of stop and search in Scotland. Here the tactic is viewed variously as a tool for detection, a deterrent and a tool for intelligence. It’s an all-round sweeping policy – rather than the legal power that it was intended to be. This vague interpretation is reflected in high rates of non-statutory stop and search, which carry a far lower detection rate than their statutory, suspicion-based counterparts; and in the disproportionate targeting of young people in some areas, which likewise lowers the probability of detection. It also means that the use of stop and search can be legitimated irrespective of the outcome. Detection demonstrates targeted policing; whereas non-detection shows that the tactic is working. A win-win policy, if you will. It’s worth noting however, that the right to search people without legal authority wasn’t given to the police in the first place . . .
It’s been stated that the Chief Constable is currently considering the abolition of non-statutory stop and search, and that ‘alternative measures’ are under consideration. It’s worth noting however, that the right to search people without legal authority wasn’t given to the police in the first place, and that it’s not really in his gift to remove it. The Scottish Human Rights Commission has argued that the legal framework of stop and search should be strengthened, which is a matter for the Scottish Parliament. Non-statutory stop and search needs to be abolished in statute, as per the proposed amendments announced by the Scottish Liberal Democrats. I’d also suggest that existing and future stop search powers are regulated by an overarching Code of Practice, akin to the detailed directives set out in the Police and Criminal Evidence Act 1984. Also, we need to proceed cautiously around any proposed new powers. It has been stated that non-statutory stop searches are being used to plug a gap in the legislation, and it’s true that 38% of non-statutory searches in 2014 were in relation to alcohol: but another 38% were in relation to drugs, and a further 19% in relation to weapons. In fact, equivalent statutory powers existed in relation to 62% of recorded non-statutory searches. Also, the police already have confiscation powers for alcohol. If the Scottish Parliament does proceed with search powers for alcohol, this needs to be in consultation with legal and human rights experts. Given that Scotland’s approach to youth justice is premised on minimal intervention and contact with criminal justice agencies, we should be wary of widening the net. Finally, the use of police powers in Scotland – not just stop and search – needs to be made accountable. In England and Wales, statistics on the use of detention, arrest and other police powers are routinely published by the Home Office and accredited by the UK Statistics Authority. There’s no equivalent in Scotland. We may be up to date with officer numbers – but we’re in the dark on the considerable powers that are conferred upon the police. The current stop and search stooshie not only demonstrates the need to regulate police powers; but also to address the larger democratic deficit that persists in Scottish policing. ‹ Small and local: Scandinavian prison model for Scotland? this is the most intelligent article which I have ever read in relation to stop and search in Scotland. The police in Scotland have been unregulated for a great many years and the time for change was many years ago. It is a great pity that the casualty toll has been so high before anyone was prepared to recognise this simple fact. People have been left traumatised and clueless as to why for years and these incidents have been simply swept under the carpet, the victims bullied into silence. The only reason Police Scotland have gotten away with what they have been doing for years is the innocent people they have targeted are either too trusting or too afraid to make “too much of a fuss about it”. Some are made to feel dirty and ashamed, accused of things they don’t even understand. It is disgraceful. SNP are just as much to blame as Police Scotland are. 2 Pings/Trackbacks for "Stop and search in Scotland: legality and accountability"